Watch full Naruto Shippuden Season 18 Episode 15 English Dubbed full HD online. Naruto Shippuden Episode 387 English Dubbed online for free in HD. Despite Naruto reaching out to him, Obito attempts to strangle the youth while claiming he has no regrets for the path he has chosen. Frustrated while breaking out of the Uchiha’s hold, Naruto punches Obito while telling him not to underestimate the power of everyone. As Naruto forcibly pulls Obito’s hand to his side within the Uchiha’s mind, the Allied Shinobi Forces succeed in freeing the tailed beasts from the Uchiha’s body. Lying on the ground, a defeated Obito looks up to the moon while grieving that he could not fill the hole in his heart. As the tailed beasts thank Naruto while regaining their corporeal forms, Sasuke and the Allied Shinobi Forces decide to kill the weakened Obito before Kakashi returns to their reality to kill his former friend. 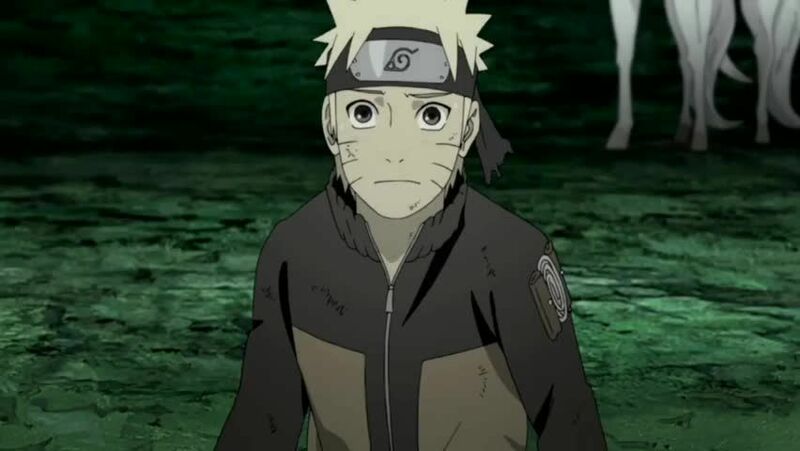 However, Kakashi is stopped at the last second by Minato who reveals Obito’s sudden change of heart. Kakashi puts down his kunai as he tells a doubtful Obito that Naruto would have never ended up like him because he had friends who would help him whenever he faltered. At that time, Naruto proceeds to locate Madara and Hashirama in order to help in sealing the Uchiha. Standing atop the Shinju, Naruto starts to produce a Massive Rasenshuriken – one large enough to illuminate the footprints of his comrades.